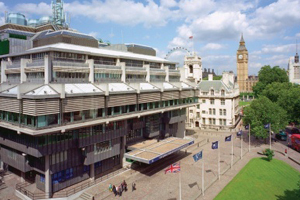 The International Marine Purchasing Association (IMPA) has chosen The Queen Elizabeth II Conference Centre (QEIICC) as the venue for its annual IMPA London event for the next five years. IMPA London 2012 is a two day conference and exhibition for over 1,500 international visitors and delegates and over 90 exhibitors. The event will be held in September and will take over the entire third floor (the Benjamin Britten Lounge, Fleming and Whittle Rooms). IMPA chief operating officer Steven Alexander said: "IMPA London is now 15 years old and had outgrown its original home. The QEIICC is a first class venue and provides us with a flexible space so we can grow our event and double the number of visitors and exhibitors. "We have already sold 90% of the new exhibition floor plan and we can attribute this growth in part to new exhibitors seeing The QEIICC as very much integral to our plans - which has given them added confidence that the show will be a success."